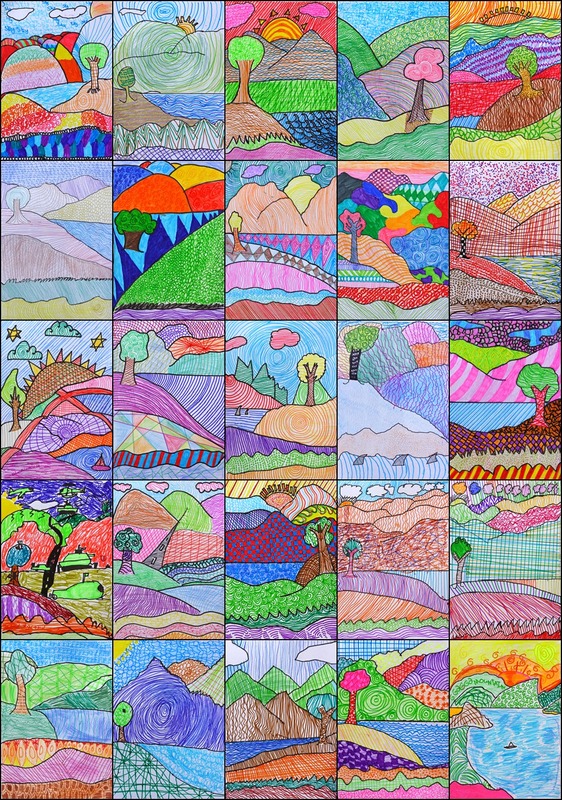 Year 6 sketched the bones of these stylised and vertically-orientated landscapes in pencil and then traced over these with black textas before adding different repeating patterns in each section. The students used a combination of coloured pens, textas and pencils to achieve the textured appearance. This is a lesson I copied verbatim from Miriam at artescuola.com - it's one of my favourite blogs! I showed the children the work of Miriam's students on the other side of the world, which really helped to capture their attention. Some students copied the scenes they saw there, others were inspired by examples I made on the board and some created their own altogether. I like these landscapes!!! Great job guys! These turned out beautifully! I will definitely be adding this into my lesson plans! I travelled through your blog today and I will share some of your projects on Facebook and Twitter. Your students did a great job with the different textures! 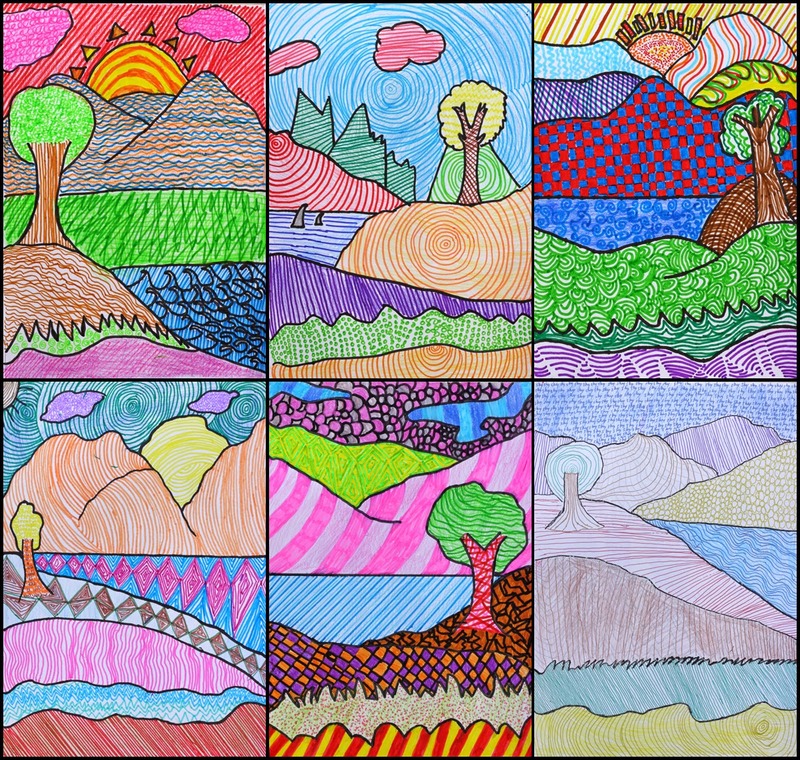 Hey, I did this with my grade 5 students after seeing it on Miriam's blog too. i'd love it if you had a look at my primary school art blog.